MEMPHIS, TN – August 10, 2016- Glankler Brown, PLLC is pleased to announce that Richard J. Myers has joined the firm as a Member Attorney. 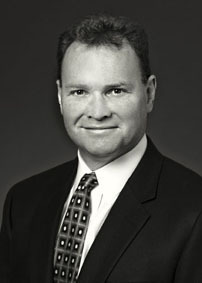 Richard J. Myers concentrates his practice in the areas of litigation, real estate and public law and governmental relations. He graduated from Cornell Law School in 1992. He currently serves as City Attorney to Oakland, Tennessee and has served as City Attorney to Gallaway, Tennessee (2009-2013). He also serves as Special Counsel to the City of Covington and Outside Counsel to the City of Memphis. Mr. Myers is a member of the Board of Directors of the World Cataract Foundation and serves on the Dean’s Advisory Board for the University of Memphis College of Arts & Sciences. He is a member of the Memphis Bar Association.